Siva Group is a major producer of flexible polyethylene packaging. We’re defined by our industry-leading products, our production processes, our customers and our people and we’re proud to be making a winning difference to them all. Siva was established in 1979 and, ever since, we’ve been involved in the specialist production of technically advanced blown polyethylene films. Today we employ more than 200 people and together we’ve become a respected European premium-tier producer and leading manufacturer of flexible polyethylene based packaging. We put our strength and our steadfast growth down to the way we embrace and apply pioneering technologies, the way we inspire advances in our processes and the investment we continue to make in our people. We’re committed to innovation and delivering outstanding products that make a winning difference to our customers’ operations and we’re determined to remain at the forefront of this dynamic industry. We invest relentlessly in revolutionary plant and production processes and we’re proud to have set the standard that others aspire to attain. We’re committed to sustainability and ethical business practices and our all-embracing corporate responsibility is practiced by us all. Our workforce is professional, forward-thinking and an inspiration to each other. These are the people who are the real key to our success. 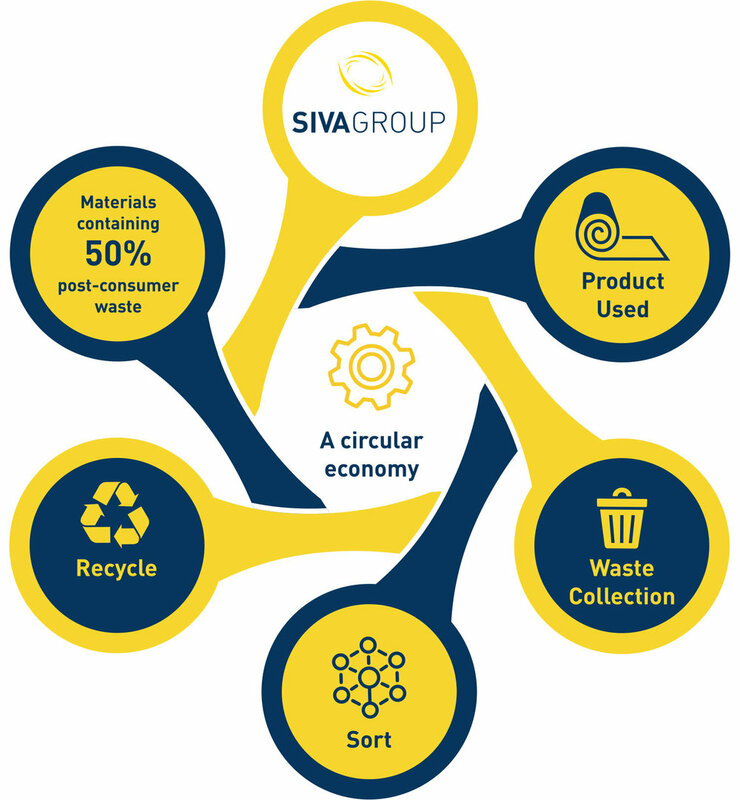 To help combat the fight against plastic pollution, SIVA Group are committed to a circular economy. We use Circular Compounds – resins that are produced with up to 50% post-consumer waste and are food contact approved. Not only will this reduce our consumption of fossil fuels (used to produce virgin grade PE), it will also reduce the amount of plastic packaging in landfill and polluting the environment. Instead of using and disposing packaging, a circular economy would see us keep resources in use for as long as possible by recovery, recycling and reuse. The demands on our products are always evolving, but our continued investment in pioneering processes and groundbreaking technologies ensures our world-class packaging solutions stay firmly at the forefront of this challenging and very dynamic market. Our packaging solutions are based on four state-of-the-art production processes – read all about them here and see just why Siva’s leading the way. Our industry-leading products put us right at the top in the European league of outstanding film producers. 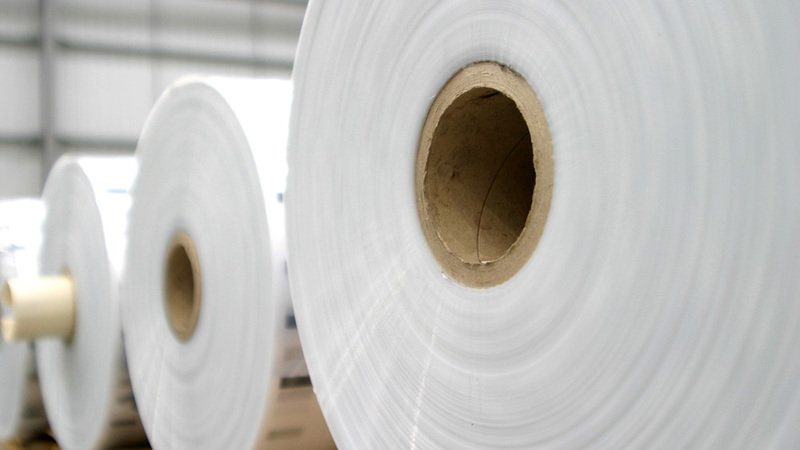 Our high-grade films are designed to perform better and deliver results that give our customers confidence and pride in their brand – and that vital competitive edge. Siva customers trust us to deliver superb products on time, every time, no matter where in the world they are. We export over 40% of our products to an international and very diverse client base that knows we're experts in our field and that we have a long future together. That's why you'll see Siva’s products performing brilliantly in all aspects of everyday life across the globe. Interested in finding out what SIVA can do for your business?